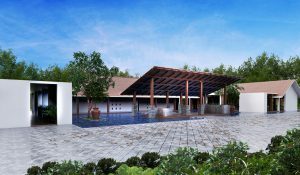 Soon in the same island paradise, The Plantation Luxury Villas will be unveiled and will regale with spectacular natural beauty – the surrounding green paddy fields, the protected greenbelt mangrove and a breath-taking landscape of mountains that never fail to rouse the senses. Inside the sanctuary that prominently features of freely roaming wildlife, the sounds of nature are readily compelling, provided by the grazing water buffalos, wild peacocks and over 40 species of indigenous birds. Equally captivating is the gentle whiff of aroma in the air, the scent generated by the nearby boutique tea plantation that captures a definitive sensory experience. And to top everything, this paradise comes with deliberate touches of modern Zen and luxurious living. The Plantation is a premium property in Galle, south of Sri Lanka, and listed as a UNESCO World Heritage site, that proudly bears the creative imprints of renowned Sri Lankan architect Manjula Kalhara, whose design work on the project gives due importance to the protection and preservation of the environment. All the 14 contemporary villas of The Plantation radiate of luxury and inspirational living. 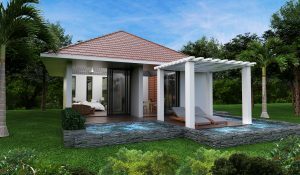 In building and operating the property, the developers, led by Dale Rennie, have made sure that no natural resources are ever wasted while The Plantation residents continue to enjoy a pampered and opulent lifestyle. 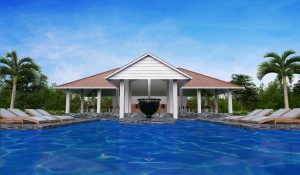 Built on a hilltop in the island that is steeped in history and culture, The Plantation boasts of pool villas, all crafted with command of Zen vistas, that epitomise of modern living and polished taste. In addition, The Plantation naturally serves as the jumping point to quickly access many of Sri Lanka’s well-known tourist attractions in the southern parts. The Koggala Lake is but a 2-minute walk from the property while the sea is just 12 minutes away, and when reached visitors can freely marvel at the gorgeous Ahangama Beach and the expansive panorama of the Indian Ocean. The Plantation Luxury Pool Villa is built close to the protected mangrove forest of Koggala Lake and provides the right spot in the heart of the prestigious south coast of Sri Lanka. This indicates that unit owners will live right at the center of the booming tourist region of Galle. 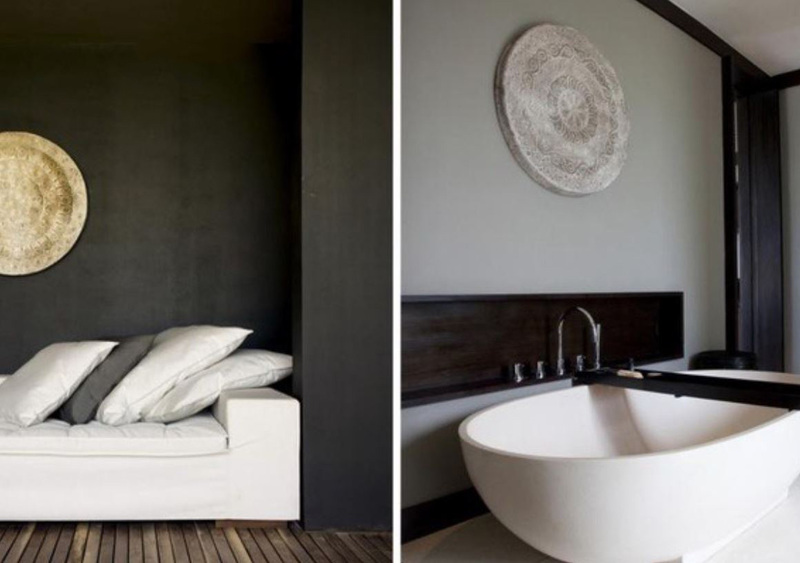 The Plantation villas are unique, fashioned out with the modern zen lifestyle in mind. 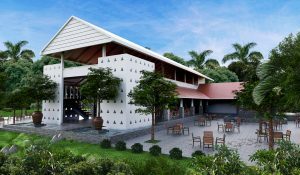 Famed Sri Lankan architect Manjula Kalhara envisioned the project, which sits on 3.5 acres of property, to be in total harmony with its immediate rich natural environment. Designed to fully recreate the typical Sri Lankan indoor and outdoor living style, The Plantation consists of 14 luxury villas complimented by a grand reception, uber-luxe clubhouse, concept restaurant, multi-purpose entertainment areas, fine spirits and mixology bar, lookout platforms, Ayurvedic spa, gym, 30-metre long infinity pool overlooking the lush paddy fields, mountains and with surrounding Zen water features that complement the property throughout. 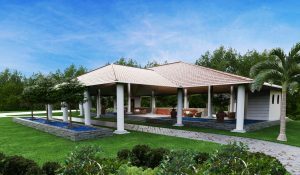 Every Villa in The Plantation exudes of the extraordinary Manjula Kalhara design signature – popular for architectural touches that highlight meticulous attention to detail. 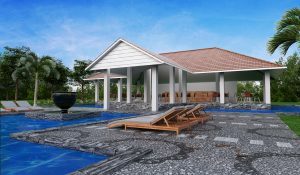 The villas are set in generous common gardens, featuring a stunning Clubhouse, reception sala, Ayurvedic Spa Retreat, Yoga Pavilion, Meditation zone, viewing decks, nature trails and inﬁnity pool with Ambalama. And in celebration of Galle’s majestic wildlife collection, the property is abundant with birds and an array of animals – all integral to a spectacular natural landscaping. Common facilities include The Plantation clubhouse featuring an infinity pool, games area, reception, restaurant and chill area. A yoga and meditation sala. Contemporary shade canopies shall provide a chic way to protect against the sun. Games room to chill out with the family and friends. Restaurant featuring organic vegetables and herbs grown on the property and surrounding area. Line caught seafood brought in by local fisherman. 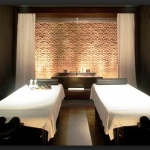 Spa using Ayurvedic practices and traditional Sri Lankan massage therapies. 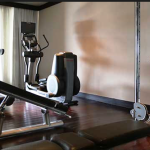 A Modern Gym with a selection of machines and free weights. Meditation courses and classes will be available all year-round to guests. From beginners to advanced. Sound healing will be available on a request basis. Yoga classes are offered by our resident Yoga master. Both sunrise and sunset yoga sessions upon request. 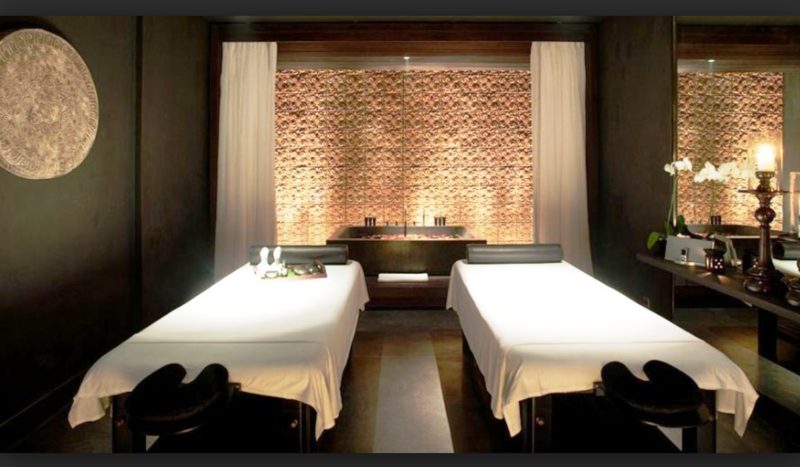 Ayurvedic massage, therapy and traditional Sri Lankan. Eco Bike tours around our beautiful area and the historic features of Galle, to the local beaches, markets mountains and beyond. Sri Lankan culinary classes with our well-known resident chef. Galle Fort walking tours on Sri Lanka’s famous UNESCO World Heritage site; include both the Maritime museum and Gemstone tour. Fish market, veggie market and spice market tours. Meditation courses and classes will be available all year round to guests in the Meditation Zone. From beginners to advanced. Ambalama is a traditional Sri Lankan pavilion with views over the lush grounds and infinity pool. 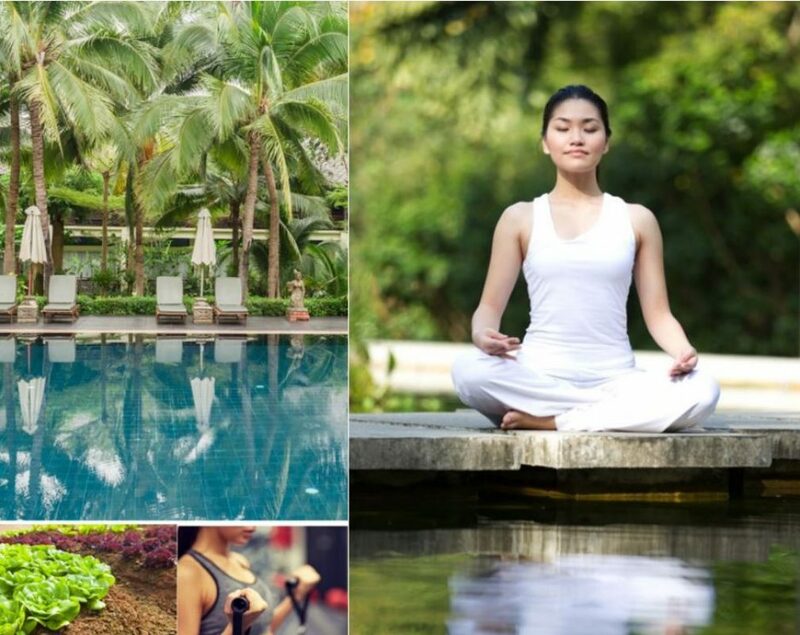 Our Yoga Pavilion venue will facilitate Yoga classes (Hatha and Shivananda) is offered by our resident Yoga master. Both sunrise and sunset yoga sessions are available upon request. 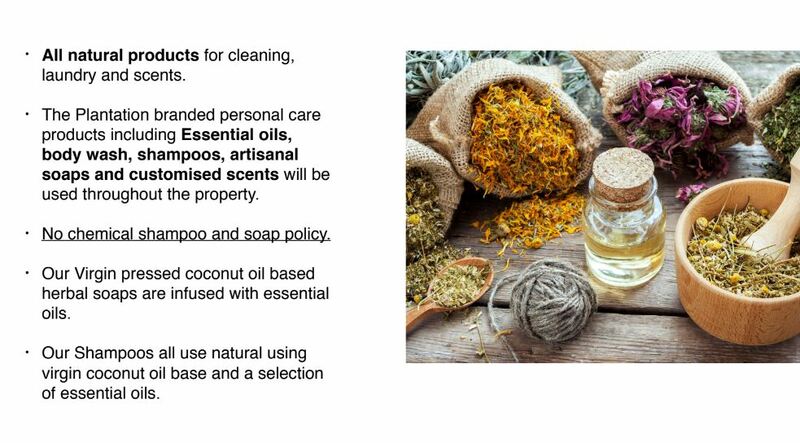 Ayurvedic massage, therapy and traditional Sri Lankan treatments in our Ayurvedic Spa Retreat featuring both couples and individual private areas. Private Car Park – two private car parking facilities. 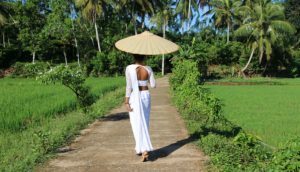 Eco Bike tours around our beautiful area (Koggala Lake and the incredible paddy fields) and the historic features of Galle, to the local beaches, markets mountains and beyond. Sri Lankan culinary classes hosted by our well-known resident chef in the Restaurant kitchen. The Plantation was built by Total Ceylon Investment Pvt. 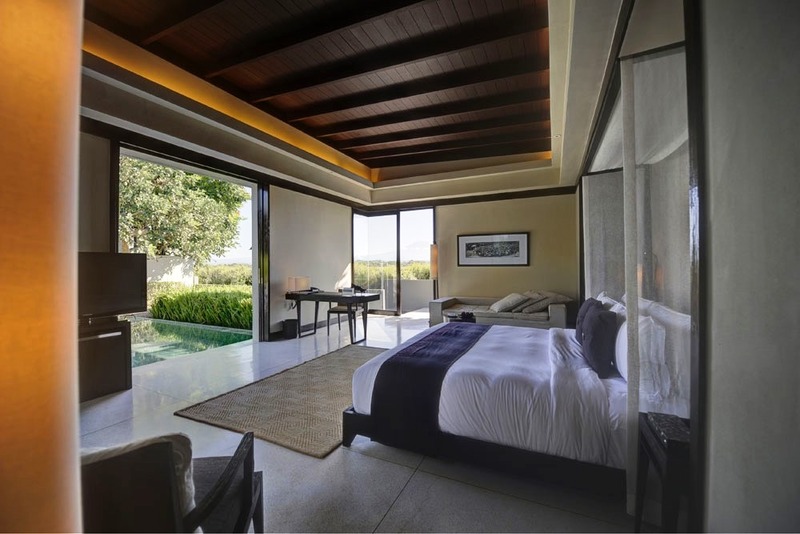 Ltd. and under the leadership of Australian born Dale Rennie, who was part of the award-winning team behind the ultra-luxury cliff front property Villa Anugrah in Bali, Indonesia. The same project was cited in 2015 by the Indonesian government as the “Best Villa and Exceptional Hospitality of the Year” that only added to Rennie’s long list of accomplishments in the property development industry. 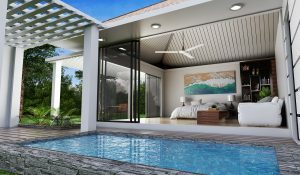 Rennie is no stranger to Sri Lanka as he developed the absolute beach-front villa Puzzle Beach House, which is scheduled to launch in Q4 2017 on the prestigious “golden mile” of Thalpe. In addition, his firm acquired and re-developed The Heritage & Café Bistro, which operates inside the UNESCO-listed Galle Fort. In the immediate pipeline for Rennie is the hip new lodge style concept hotel in the Philippines that focuses on beach-front property. The project will unveil as the Siargao Beach Club, construction of which is already underway and is scheduled for completion in the second half of 2018. 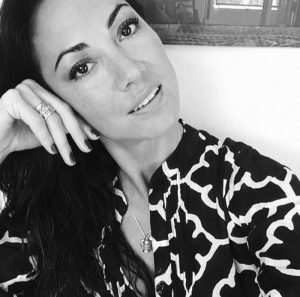 American national Sabrina Van Cleef Ault is both the creative director of Total Ceylon and wife/business partner to Rennie. 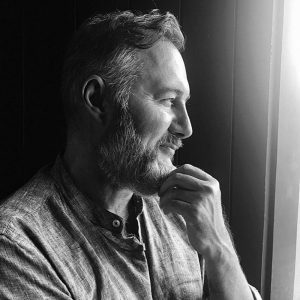 Van Cleef Ault co-founded Pangaea, a world famous uber luxury lifestyle and entertainment brand that has significant presence in six continents and 10 major cities around the world. She currently serves as creative director for Pangaea. Focusing on brand conceptualization and putting great attention to details that generated successful world-class brand, Van Cleef Ault aims to push for an ethos that supports the relevance of The Plantation Villas in relation to a sustainable environment. Van Cleef Ault and Rennie’s latest pride is The Heritage Café and Bistro, a concept restaurant housed in a 400-year old building in the center of Sri Lanka’s Galle Fort. Sri Lankan architect Manjula Kalhara is currently acknowledged as one of Sri Lanka’s most celebrated and sought after in his field. Kalhara has worked with his country’s most prominent sporting personalities, business leaders and property developers. Kalhara’s design signature ranges from classic Dutch colonial architecture to modern Zen resorts. These imprints are evident in his catalog of works that boast of boutique, city hotels and important heritage sites. 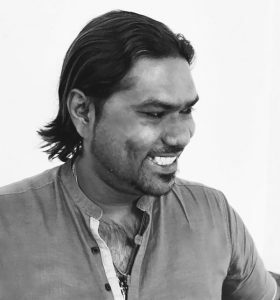 Kalhara is known for his strong environmental ethos which has been highlighted by his recent appointment by the Sri Lankan Government Tourist Bureau (Southern Provincial Board) as consultant architect for the Eco Village. Sri Lankan Sale’s Agent: 360 Property Sales Pvt. Ltd.
Property Management: 360 Property Management Pvt. 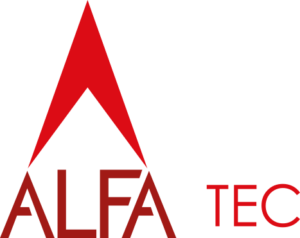 Ltd.
Marketing and Sales: ALFA Investors Ltd.
Villa ownership in The Plantation is easy as Total Ceylon makes sure that the transaction will be trouble-free. 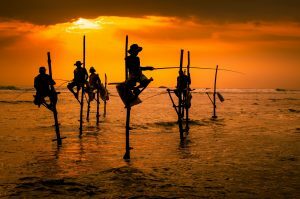 Sri Lanka places no restrictions on foreign ownership, meaning that investors can buy in their own names or a nominated company name. And hold on the property is legally supported by a 99-year lease with secured title. There is also an easy Payment Plan, in which buyers pay in stages based on actual progress. Under the scheme, the purchased villa will be delivered upon signing the agreement. 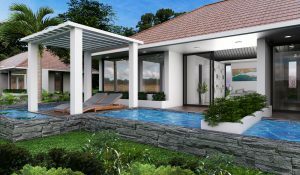 For after-sales concerns, villa owners have access to full property management services provided by Sri Lanka’s renowned high-end industry specialist 360 Properties. Another source of comfort is Total Ceylon’s Guaranteed Rental Returns scheme, in which owners have the option to rent their villa. 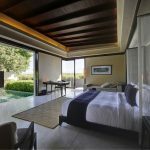 The returns are based on the cost of a completed and rental ready villa and demonstrate why Plantation Luxury Pool villas are an attractive investment. The Net return is 7% per annum based on purchase price plus a generous provision of complimentary 30 days usage of villa per year. Famed as among the leading property management companies for luxury properties, 360 Property Management will take charge of running the daily operations of The Plantation with no additional management costs. 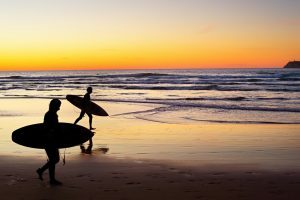 But when using the complimentary 30-day annual accommodation, guests will be charged $25 per day to cover for service charges. Prepare villa for the rental market. Promote the villa across local and international networks in 6 different languages. Organize professional photography and villa website. Management of the calendar and bookings across multiple sources. Manage the maintenance and repairs of the villa. Provide villa and pool cleaning services during occupied and non-occupied periods. English speaking Villa Manager to deal with our guests. Opening and maintenance of a villa bank account and book keeping services up to audit level.